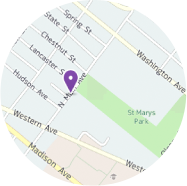 Thank you for your interest in Bishop Maginn High School. Maginn is truly unique because of our broad range of excellent programs that provide a holistic Catholic education in a peer community of unmatched ethnic and socioeconomic diversity. The strength of our approachable professional faculty and staff, our personal care and moral guidance all add priceless value. Our bright, healthy, goal-oriented students come from over 30 districts in the area. They have the guidance of our faculty, counselor, campus minister, coaches and active moderators who focus on intellectual, personal, spiritual, athletic and character growth. Excellence, world-class technology, including the first 1:1 laptop program in the Capital District, and inviting facilities support Maginn’s students and faculty. Our school leadership focuses on preparing students for the future with best education possible. We are an accredited high school with advanced placement classes and courses offered through the College of Saint Rose. Students at Bishop Maginn High School have the opportunity to receive, “17 in 4″, 17 college credits while still in high school. We also offer a program for students with documented learning differences. Numerous opportunities await our students; this year we will partner with Albany Medical College and we will begin our association with Albany Law School and the Albany College of Pharmacy, 0.5 mile from our campus. With an expanded Campus Ministry program, we look forward to offering many new service-oriented opportunities for our students. We are most proud of our students, faculty and staff who model our mission and values. These begin with the life and mission of Jesus Christ. 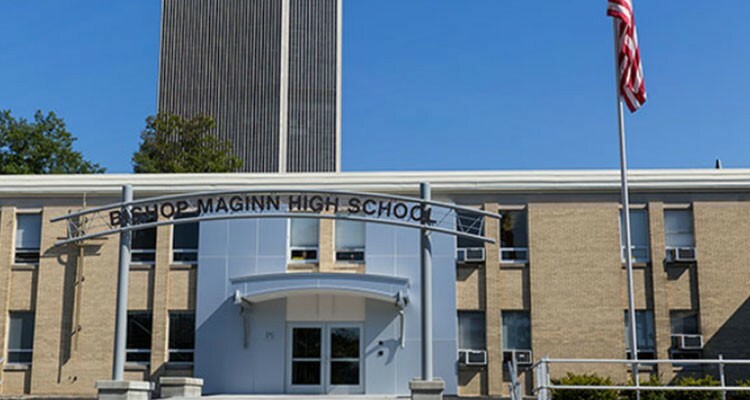 The Bishop Maginn High School community embraces the traditions of our Heritage Schools, while instilling students with a sense of respect, as well as challenging them to achieve their greatest potential, in the Catholic Tradition. Providing young men and women with an Experience of Values and Learning that will last a Lifetime.